Mayor Joel Greer is hopeful that after a meeting Saturday by the Marshall County Landfill executive board, the meatpacking plant JBS can begin to offload and properly dispose of the 24-million pounds of pork product it lost in the tornado. 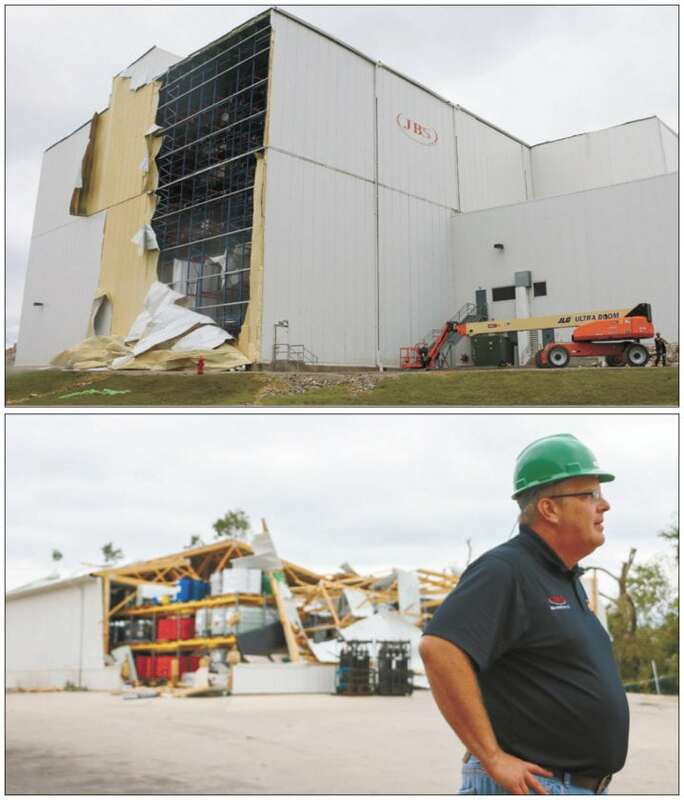 Winds tore out insulation and panels on the east and west sides of the JBS distribution center, making it one of the companies hit hardest by Thursday’s tornado that swept through the city. If approved, Greer said the 24-million pounds of pork would equate to half of a year’s regular input for the landfill. 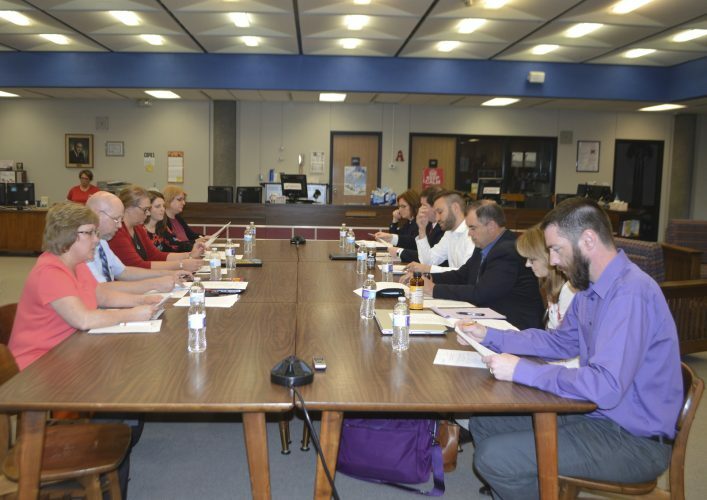 The Times-Republican reached out landfill commissioner Mike Gowdy and JBS plant manager Todd Carl for comment, but did not receive response as of presstime. The landfill has been concern for many in Marshalltown, as well, as many with destroyed homes and businesses begin to clear debris and plan to rebuild. Justin Nickel, public works director, warned at the press conference that the efforts to clear debris, specifically in the northeast part of town, will be a slow process that could take up to several months to complete. At this time, Marshalltown residents are encouraged to pile structure and storm debris on the terrace between the sidewalk and curb only out of necessity. If capable, citizens are also encouraged to take what they can to the Marshall County Landfill. 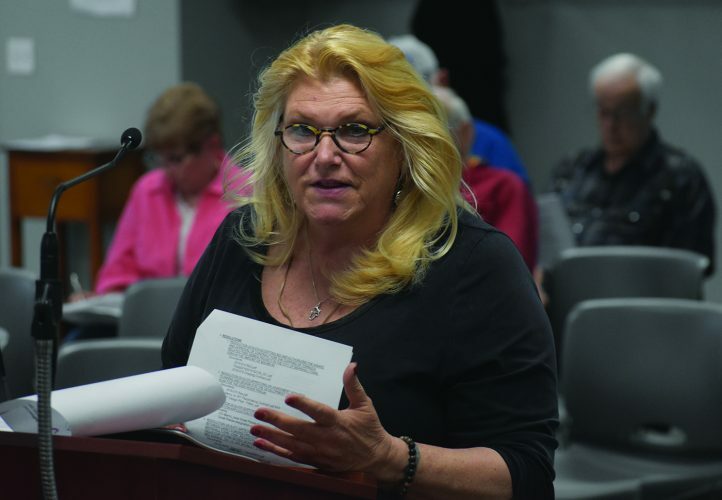 There is still a fee associated with dumping house debris at the landfill for residents, however, Greer said the Marshall County Landfill executive board meeting that was held at 4 p.m. will also be looking at reducing or waiving fees. Due to the destruction, the landfill will be open Sunday from 9 a.m. to 5 p.m. and will be extending its hours beginning Monday to 8 a.m. to 7 p.m.
“They now understand the breadth of the disaster we’ve had and they understand it is a significant problem for people,” Greer said.